29th Annual 64th Parallel Juried Exhibition- Intake beginning on Friday! 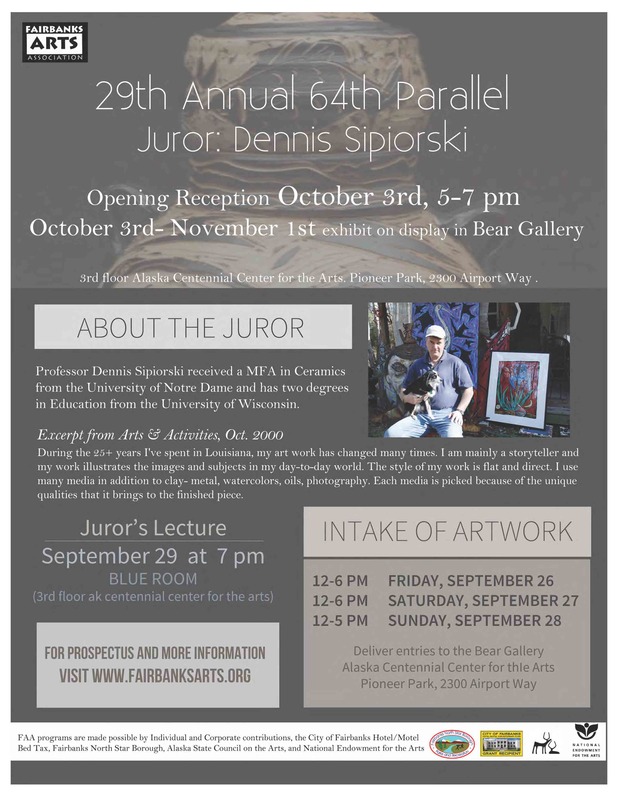 Artists, be sure to bring your work by this coming Friday, Saturday, or Sunday for Fairbanks Arts Association’s annual 64th Parallel juried exhibit! Previous Charlie pARTy for the Arts September 25! Next Limited Edition- An Open Exhibition of Small Works is coming up next month!